FANTASTIC LOCATION - Choices are delighted to present to the market this CHARMING three bedroom detached bungalow situated down a PRIVATE RESIDENTIAL LANE in the popular MEATH GREEN area close to Meath Green Infant and Junior schools and within easy reach of Horley town centre with a selection of shops, amenities and Horley train station providing excellent transport links. Salford train station is just a short drive away with further transport links and access to Salford's range of amenities. The generous accommodation comprises; Entrance hall, spacious lounge/dining room, kitchen, summer room, three good sized double bedrooms, a family bathroom and separate cloakroom. 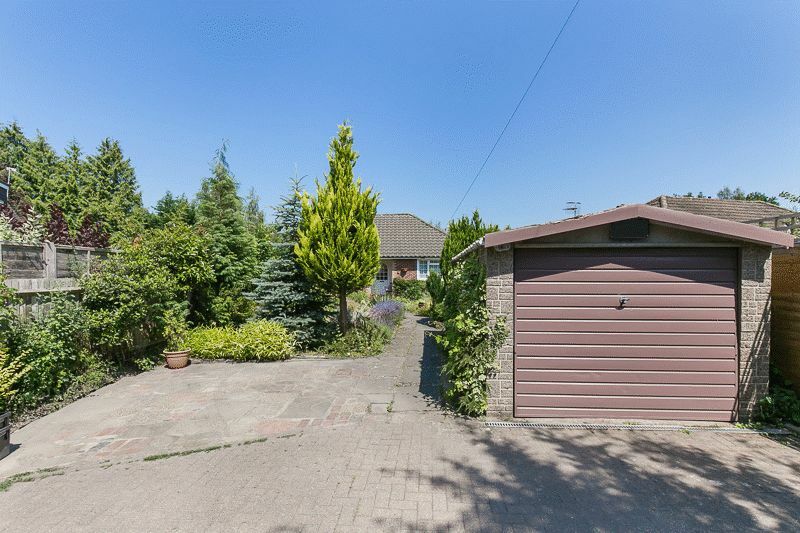 Outside there is a front garden with a driveway and detached single garage providing off street parking and an extensive well maintained private rear garden. There is potential to extend (subject to planning permission) making this a fantastic opportunity for those with a growing family, so don't miss out call today to arrange an appointment to view. EPC Rating D. *Charming detached bungalow *Spacious lounge/dining room *Three good sized double bedrooms *Off street parking and detached garage *Front and rear gardens *0.1 mile from Meath Green Junior school *0.4 mile from Meath Green Infant school *Potential to extend STPC *Draft details awaiting vendor approval *Buyers Commission May Be Required Rooms Draft Details Awaiting Vendor Approval Entrance Hall Storage cupboard. Airing cupboard. Radiator. Doors to; Lounge/Dining Room 23' 9'' x 15' 10'' (7.23m x 4.82m) French doors to rear. Windows to side and rear. Feature fireplace. Radiator. Kitchen 12' 2'' x 9' 9'' (3.71m x 2.97m) Fitted with a range of wall and base level units with complementary work surfaces over. Sink/drainer unit. Space for cooker and washing machine. Part tiled walls. Radiator. Door to sun room. Bedroom One 11' 8'' x 10' 0'' (3.55m x 3.05m) Window to front. Built in wardrobes and dressing table. Radiator. Coving. Bedroom Two 11' 0'' x 11' 0'' (3.35m x 3.35m) Window to front. Built in wardrobes. Radiator. Coving. Bedroom Three 12' 0'' x 9' 8'' (3.65m x 2.94m) Window to side. Radiator. Coving. Bathroom 9' 9'' x 7' 1'' (2.97m x 2.16m) Window to side. Fitted with a coloured suite comprising; Panel enclosed bath, vanity wash basin unit, low level WC and bidet. Shower cubicle. Heated towel rail. Part tiled walls. Cloakroom Window to side. Low level WC. Wash hand basin. Summer Room 16' 4'' x 5' 6'' (4.97m x 1.68m) UPVC construction. French doors to rear. Storage cupboards. Tiled flooring. Front Garden Flower/shrub borders. Driveway with parking for multiple cars. Pathways leading to property. Rear Garden Mainly laid to lawn. Mature flower/shrub borders. Pond. Patio area. Enclosed by fencing. Garage Single. Up and over door. Buyers Commission May Be Required* *Full details available upon request. Tenure Freehold.